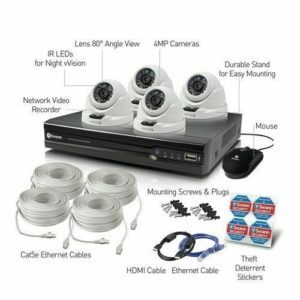 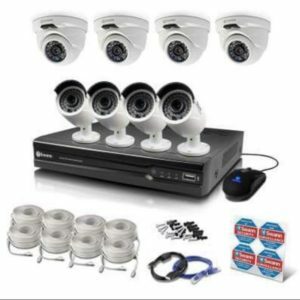 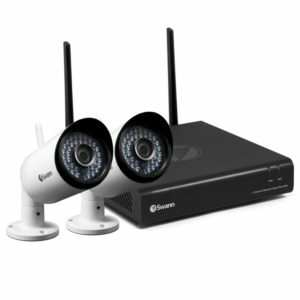 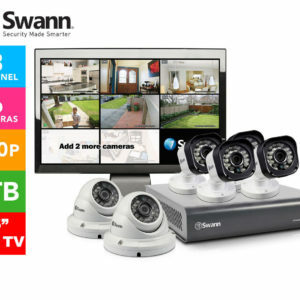 Use the DIGIMON Wireless Security-in-a-Box Kit from Swann to monitor the live feed of your camera’s area of view from the comfort of your home. 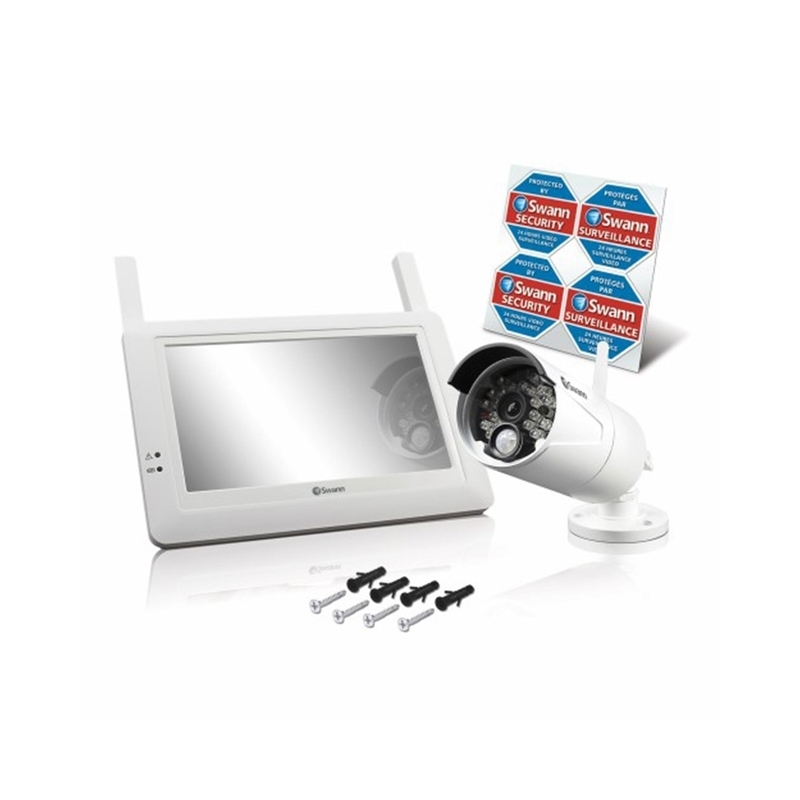 Featuring a typical frequency range up to 25m’, the kit allows you to mount the included camera to a front door, garage door, patio door, or other location, and immediately view the stream from the safety of inside your home using the 7″ LCD monitor. 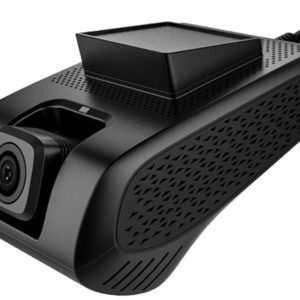 The camera records footage in 720p resolution at a frame rate of 30fps for real-time action viewing. 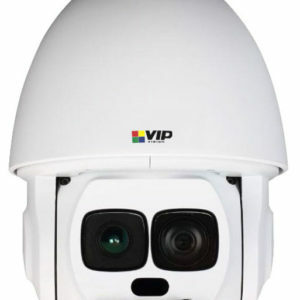 Capturing audio up to 5m you can not only see but also hear if an intruder is outside. 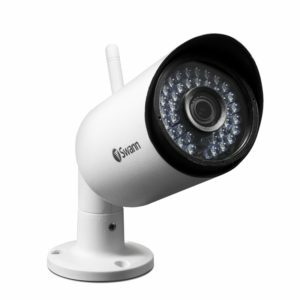 With up to 12m of night vision capabilities, the camera is effective even in complete darkness, ideal for monitoring backyards or large areas of property. 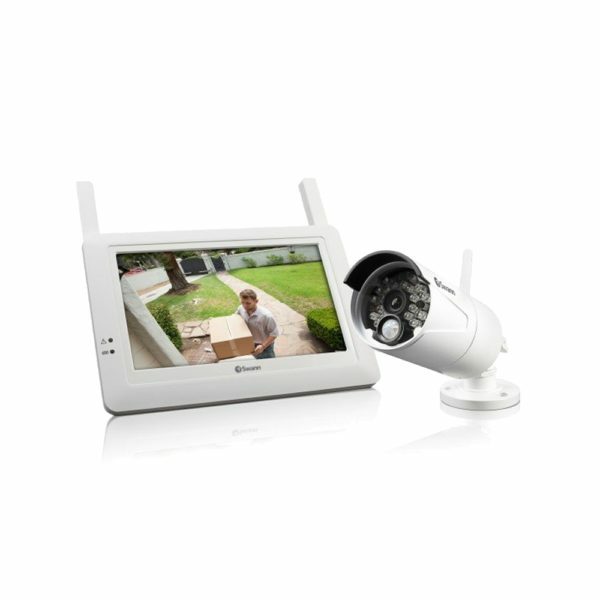 Footage can be recorded to a microSD card for capturing happenings that you may have missed. 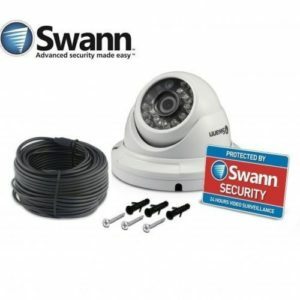 The built-in PIR motion detector and adjustable recording settings allow you to preserve storage space and power and only record when either motion is detected, or during an earlier specified interval. The LCD monitor displays footage in VGA resolution and can be powered by an A/C adapter or using the built-in battery for carrying around with you around the house.